In 2012, Jared attended the Reppert School of Auctioneering in Indianapolis and is very active in the National Auctioneers Association (NAA), Iowa Auctioneers Association (IAA), and the Missouri Professional Auctioneers Association (MPAA). 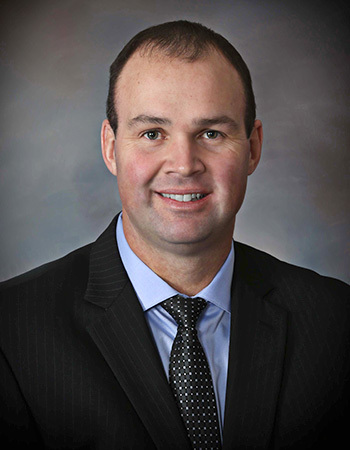 In 2016, he was elected for a three year term as a Director for the Iowa Auctioneers Association. Jared has served as a state ambassador for the NAA and is also a graduate of the Professional Ringmen’s Institute (PRI). Jared was awarded the 2014 Grand Champion Rookie Bid Caller and also the 2014 Grand Champion Ringman at the IAA annual conference. Through his membership in the NAA, he has obtained his Certified Auctioneers Institute (CAI), Graduate Personal Property Appraiser (GPPA) and Benefit Auctioneer Specialist (BAS) designations. The Certified Auctioneers Institute is the most respected professional designation an auctioneer can acquire. Commonly referred to as CAI, the program focuses on developing the skills required to operate a successful auction firm and business. CAI designees pride themselves on being a part of an extraordinary network of professional auctioneers who possess the knowledge and skills needed to provide their clients with outstanding services. The CAI designation communicates to attorneys, trust officers, government officials, accountants and others affiliated with the auction industry that you are committed to continuing education and are dedicated to professionalism, integrity and excellence in the auction profession. Copyright 2013 ChambersAuction.com. All Rights Reserved.